Glittery polish is hard to remove - it takes me more nail polish remover and time. But - PRETTY! I don’t use a base coat - so what is it supposed to be doing to improve my manicure (pedicure). I loved glitter polish when I was rock climbing- it’s indestructible. The Essie Gel-Setter top coat is great for a fairly indestructible finish. I use OPI’s Kyoto Pearl and that top coat on my toes and it lasts forever. OP: you do want your polish liquid and easy to apply. (So not a) pro tip, if you shower/bathe the next day, any extra bits of polish on your skin will peel away neatly. 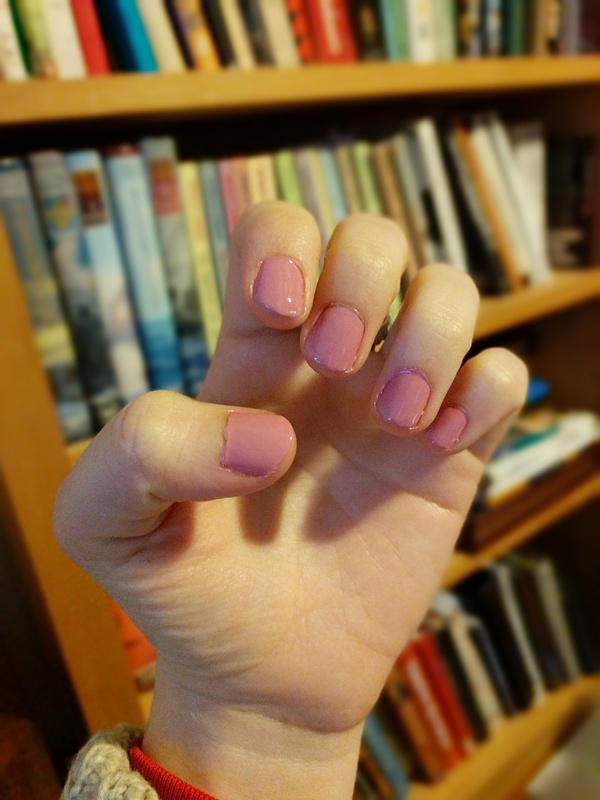 I just wanted to second Sinful Colors as a cheap polish ($2) that has dried pretty easily for me, and some are saturated enough that I only use 1-2 coats (no base, no top coat, because I’m lazy and impatient). I used to be able to find them at Walgreens, but not sure if they’ve migrated. I think Target has them. Alright m’lads. I removed my crusty nail polish last night, and yesterday I picked up (3) new polishes. Walgreens had a 2 for 3 deal with OPI. Gonna let mah fingers breathe for a few days and then try again. …3 for the price of 2. Not… 2 for the price of 3. I got a teal, a dusty rose pink, and orangey red. One tip, if you are a bit of a nail noob you might want to watch some vids on youtube. It’s like 50% technique 50% product. Start in the center a couple cm above your cuticle, then push back and swipe down the center and each side, quicky, is the best technique I’ve found. ETA: I went back to Walgreens today and picked up Seche Vite top coat and an affordable Sally Hansen base coat/nail protector, as their sale continued today. Ooo those look so pretty! I love the color choice. Nice nails is such a little thing, but I love it when my nails look good. Now it’s color picking time. Poll for the polish minded among us: orange-red, teal sliding towards green, or the pink that resides close to mauve? Pinkish mauve I fall you want neutral, but I’m thinking teal for a pop of color! I too like teal, or orange-red! Are there outfits you’re planning to wear in the next few days? I often tend to play my nail polish color and outfit colors off each other. Oooo I vote for the teal! Pinkish mauve or teal, but then I hate orange generally (not in flowers or sunsets, but in most everything else). I like mauve this time of year! It hints at spring without overshooting.